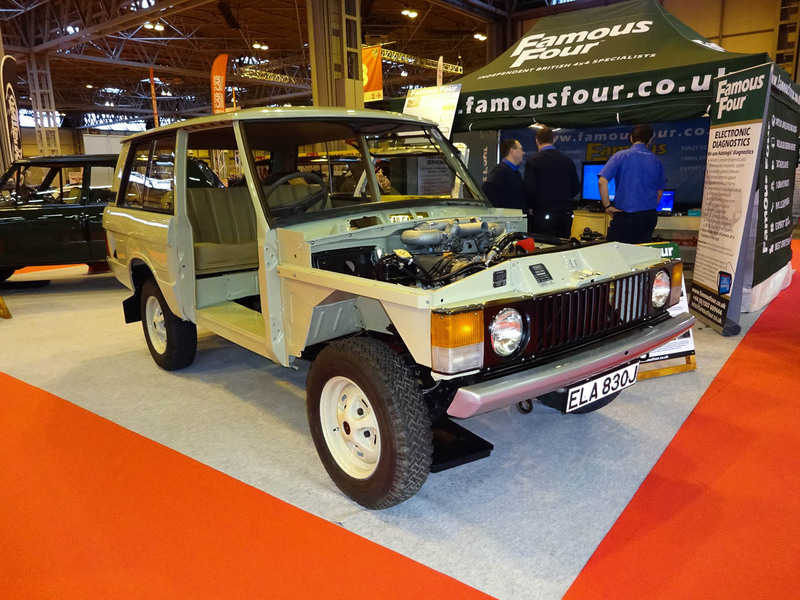 The annual Classic Car and Motorcyle Show at the National Exhibition Centre (NEC) took place over the weekend of November 13th, 14th and 15th 2015. 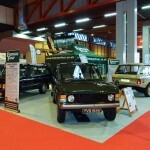 It is the largest indoor event of its kind in the UK and sees visitor numbers of around 70,000, and is held over 5 large halls within the complex. 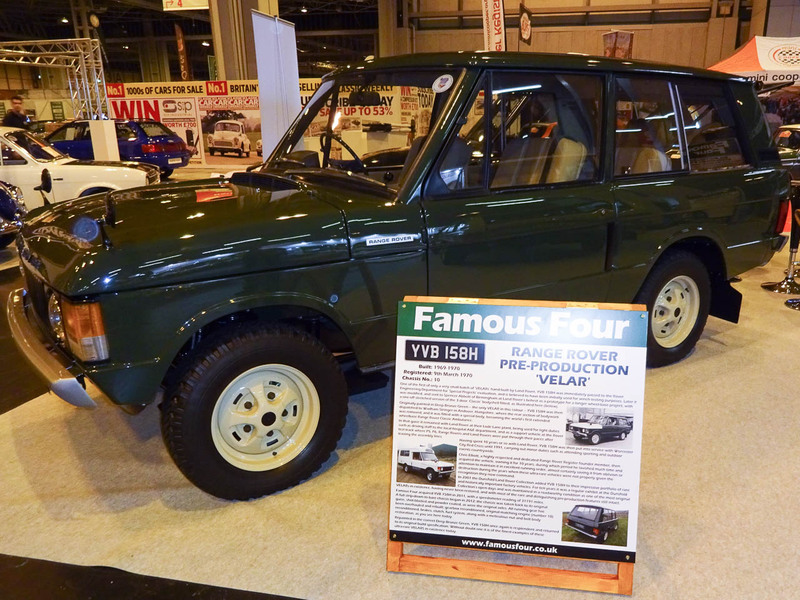 Famous Four chose this event to debut our recently completed restoration of YVB 158H, chassis number 10 of the pre-production Range Rover ‘VELARs’, following a detailed 3 year strip down and rebuild. 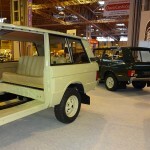 We also took an outstanding example of a CSK Range Rover, and early production vehicle ELA 830J which is part way through a restoration in our workshops. 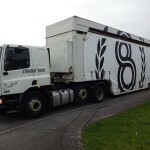 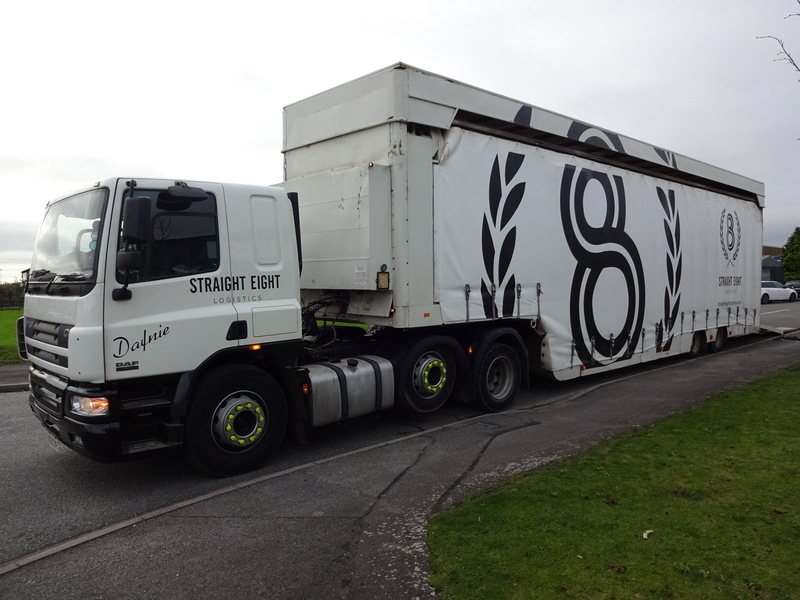 All three vehicles were collected by Straight 8 and loaded outside our premises before transportation to Birmingham. 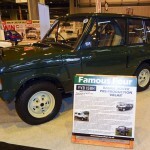 Richard, Jamie and Rich arrived at the NEC on Thursday and constructed the display stand ready for the public on Friday. 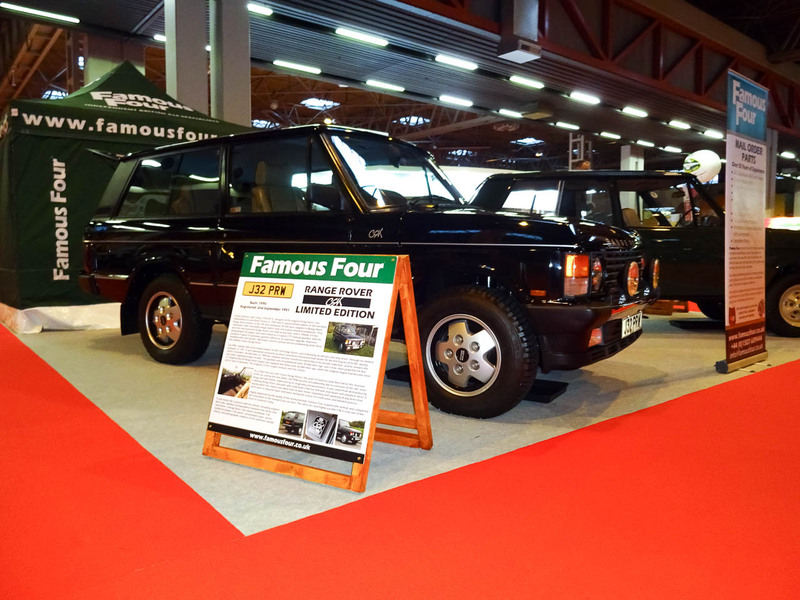 We were overwhelmed by the positive response from the huge numbers of visitors who came to our stand, and surprised by the degree of fondness and enthusiasm for the Classic Range Rovers shown by so many classic car lovers. 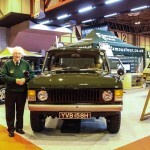 One of the highlights of our show was the re-uniting of Chris Elliott with YVB 158H. 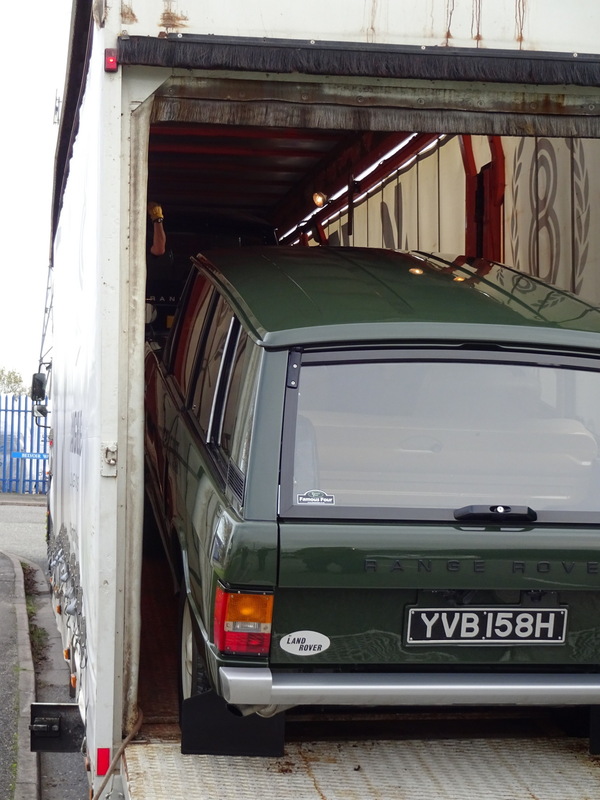 Chris owned the vehicle for ten years, almost certainly saving it from destruction, and it was wonderful to see him behind the wheel of the old girl 15 years after he was persuaded to part with it by Brian Bashall of the Dunsfold Collection, from whom we bought it ten years later. 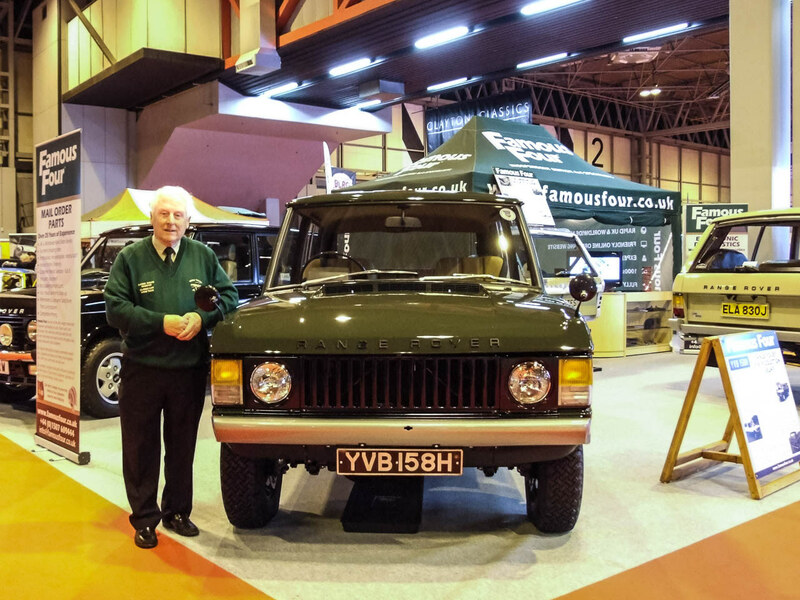 Roger Crathorne was on hand at the Jaguar Land Rover Heritage display stand next to Famous Four, and his comments and observations on our restorations were very favourable. 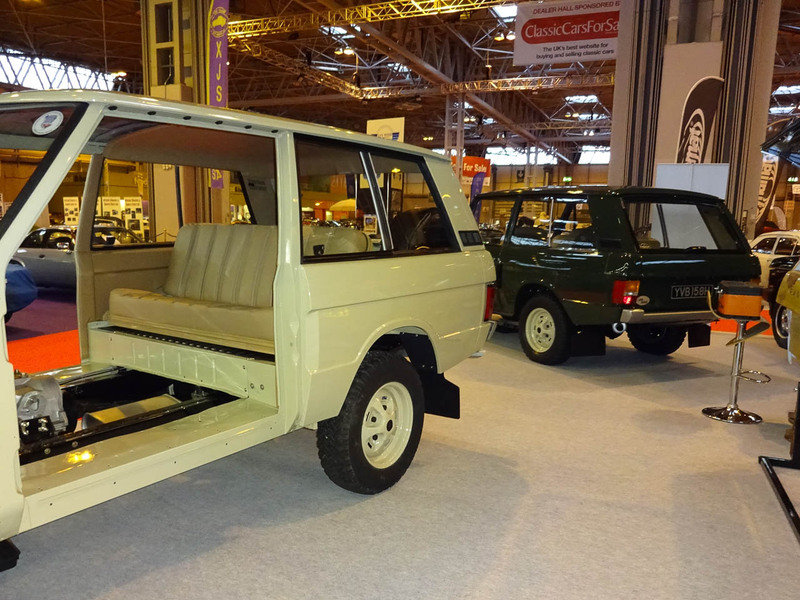 His near encylopaedic knowledge of the development of the original Range Rovers is awe inspiring, and his and Chris Elliott’s lifelong commitment to the Land Rover brand is surely worthy of distinction. 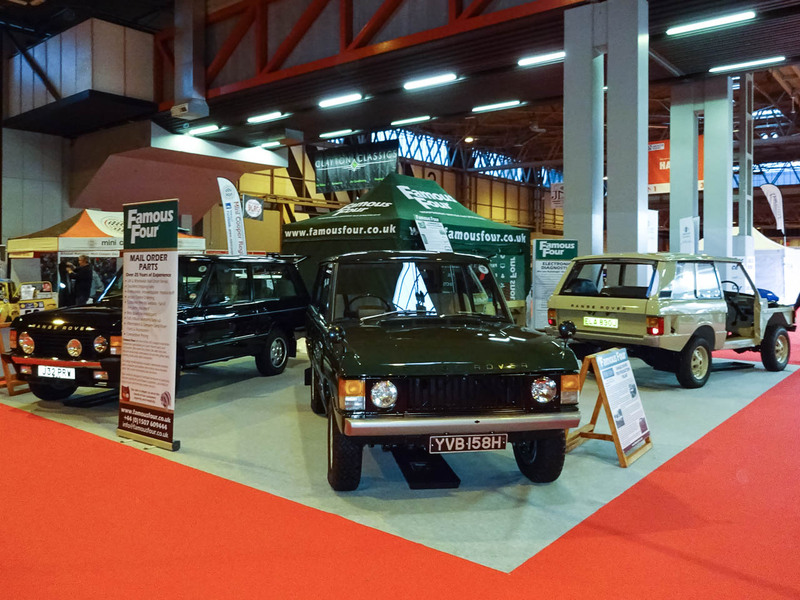 Our three Classics drew a great many favourable comments, and in the company of a myriad of exotic Ferraris, Aston Martins, Jaguars and the like, we feel they measured up to the very highest standards of excellence on show. 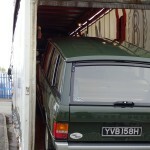 A good many discerning customers have booked their own vehicle into our workshops for restoration or refurbishment work. 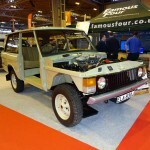 For more details and pictures, don’t hesitate to contact us or check out our Facebook and Twitter links. 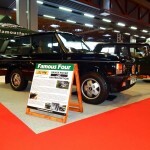 Next Post: Famous Four are now on Trustpilot!